Most 4G smartphones I’ve come in contact with are priced on the high side, but this is a promising brand, with a promising smartphone, promised to deliver a pocket friend 4G device to everyone. 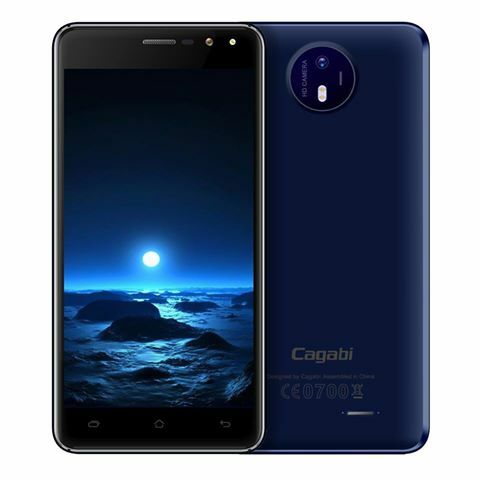 Cagabi One is a mid-range smartphone with pocket friendly price and it is 4G LTE supported. Comes in 7 different colors, IPS HD Screen with OminVision camera. Now that Naira is appreciating and dollar is falling like a withered tree, I expect CBN and banks to do the needful atleast by enabling Master cards for international transaction. Is This Mysterious MTN No 08030004900 Actually Killing People? Can Your Smartphone Survive This Drop Test? I wonder why it is only gtBank master card that allows 100$ limit. Abi no be same 9ja bank? Paying online has been a difficult one… Other banks should allow 100$ limit Nah.. This device is very cheap, though not sure if it is that durable considering the price. but i still use my Access Visa card last week to buy unlock code from a site http://www.cellunlocker.net and the payment go through paypal though the total amount i paid is $29.99. I dont know why some people complaining or am i just a lucky guy ? @Kling plz hw much did Access charge u? please if anyone can get it please contact me i really wanna buy…. The battery is small because its a midrange smartphones and I don't see anything bad with it. After all it is Android 6.0 and can be upgraded to 7.0 which doesn't consume battery. If Access bank visa cards works guys lets get it. Its available on banggoods, everbuying and geekbuying. I just visited their FB page and they seems to have good stuffs. I really need a portable 4g phone that can support glo 4g. I would like to use the hotspot. I wish to make a purchase of an item its about 124dollars which bank mater or visa card ATM should i use? Quick Charge 4.0 Technology, When Will it Come to Smartphones?